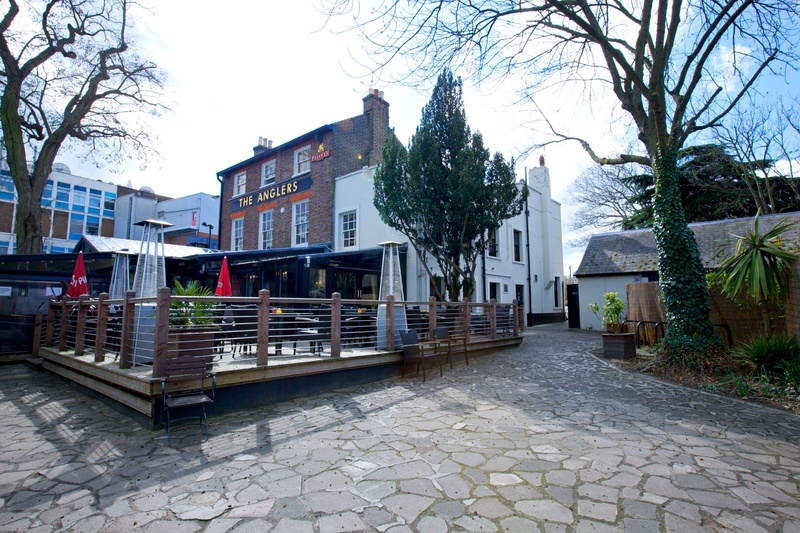 Situated on the Thames next to Teddington Lock, the Anglers has existed since the mid 18th century. The place was popular among local fishermen, who would spend hours on the river bank. Acquired by Fuller’s around 2010, it remains a vibrant riverside pub, serving twelve ales and lagers, an extensive wine list, a variety of spirits and, of course, friendly and professional service. One of Fuller’s busiest pubs, everyone is welcome at the Anglers. It's family-friendly space makes it popular with parents in local neighbourhoods, providing an ideal place for them to enjoy a quality meal while their children play in the enclosed outdoor playground. In the summer months, the large garden and outdoor bar is practically bursting with laughter and good-hearted fun, while the cosy fireplaces keep everyone feeling just as merry in the colder winter months. A beautiful peaceful riverside location to explore along the bank of the river, we're pleased to say iFootpath have organised a 3.5 mile circular pub walk from The Anglers. Crossing the Thames, before exploring the opposite bank with chance to see famous landmarks including Teddington Lock, Eel Pie Island and Ham House along the way. Click here for more details.